Stars, they're just like us — at least when it comes to obsessing about the home improvement hit. Jennifer Lopez and partner Alex Rodriguez recently celebrated their two-year anniversary, and he marked the occasion with a gift that would set any "Fixer Upper" fan's heart aflutter. 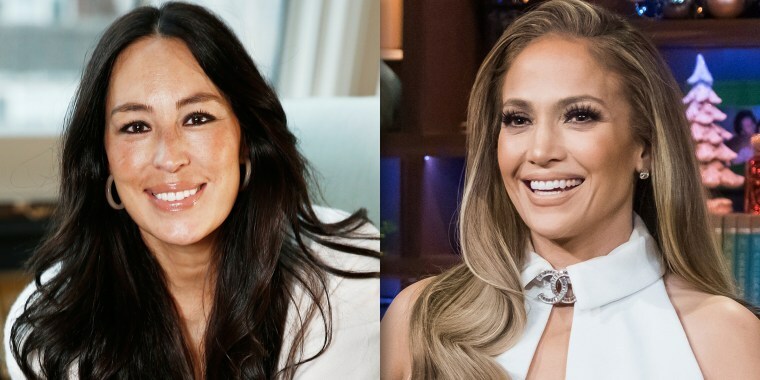 And, as J.Lo revealed during a Wednesday visit to "The Ellen DeGeneres Show," she's absolutely obsessed with the former HGTV hit. For Christmas, her sister gave her a copy of Joanna Gaines' latest book, "Homebody," which Lopez told DeGeneres was "so amazing." And her fixation on "Fixer Upper" even led her and A-Rod to purchase a waterfront fixer-upper property of their own. She also allowed herself to fantasize about having Gaines come around to put her Magnolia touch on the project. But she knew that wasn't really an option. "I was like, 'Wouldn't it be amazing, you know, to like have her do it for us?'" Lopez explained. "But she doesn't do anything outside of Waco — like, nothing." As for Rodriguez, she didn't think he was paying any attention to her dream renovation talk anyway. That is, until their anniversary came around, and he invited her to join him for a meeting about the house. "And he opens up the FaceTime and it's Joanna Gaines! And I was like ..." What followed was a series of shocked gasps. In short, Lopez "totally fangirled out!" While Gaines won't be working the renovation herself, she told the 49-year-old star that she'd be happy to "help you with this and that and whatever." Lopez was floored by Gaines' offer, but ultimately, she was more impressed by Rodriguez's gesture. "I'm looking at him like, 'You listened to me.' Like, 'I love you.' Like, 'You are so amazing,' she gushed.